Benelli TNT-135, a naked mini street tracker, which made its maiden presence at the 2015 EICMA motorcycle show in Milan. 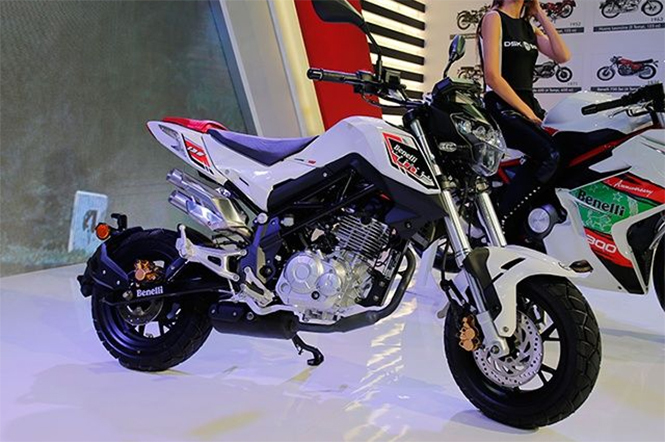 Possibly, it may made its foray in the Indian automotive market in a quite different motorcycle segment. And this clue came out from the comment made by Mr. Sirish Kulkarni, chairman DSK Motowheels, when he was asked about the lesser engine power bikes offering from the Italian giant. Mr. Sirish Kulkarni quoted while addressing the press conference at the launch of Benelli showroom in Coimbatore that Benelli had a 135cc mini bike for Benelli’s Indian product portfolio which will be cost between Rs 1.3 Lakh to Rs 1.5 lakh and will become the most affordable Benelli’s offering for Indian petrolheads. Visually, it is a compact or can say shrunken version of last year launched TNT 25, mounted on an exposed trellis frame, naked mini is furnished with all styling cues of a street fighter. On the chassis of this mini TNT 135, a powerful powertrain of single cylinder, air-cooled, 4 valves and double spark with the engine displacement of 135cc. The engine is able to churn out the healthy power and torque figure of 12.6 hp at 9000 rpm and 10.8 Nm at 7000 rpm respectively. And the mill is coupled to five speed transmission. 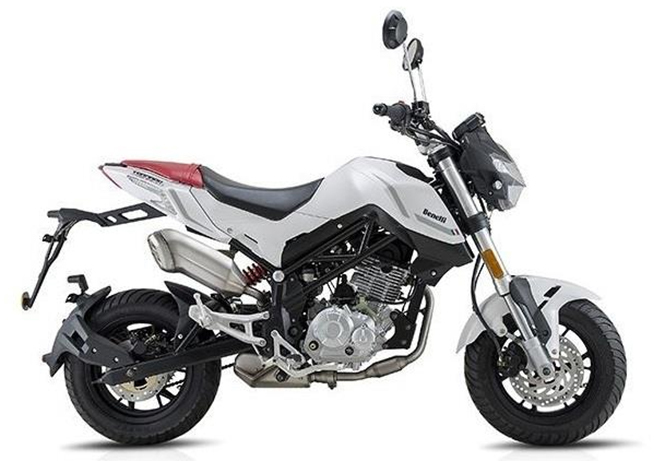 Globally, this mini bike segment have some offering that are much popular as Kawasaki Z125 and Honda MSX125 or can say Grom. While for Indian market this niche segment is new and is kind of a risk for the automakers. However Honda recently roll out its Navi and now Benelli TNT 135 will be the next if launched in the country. It will be the only one in this niche segment with that much power engine and no rival is recently available for this bike in Indian motoring market.